Vanderbilt University received a A+. U.S. News & World Report's ranking of 16 out of 201 of National Universities was a major contributor to this grade. The bookstore apparently does not sell a t-shirt that reads, "Vanderbilt…It Even Sounds Expensive," but it could, because the campus, a registered arboretum, looks like it costs plenty. Great academics, southern charm, SEC football, and the bright lights of Music City—now called by some "Nash Vegas"—all make for a vibrant experience. When it comes to admission, standardized test scores mean much more these days, and applicants are urged to take the published numbers seriously, then exceed them. Every now and again the Commodores teams win, as in 2014 with the university's first NCAA title, in baseball. Describe the type of student who should not attend Vanderbilt University and explain why. Describe the type of student who should attend Vanderbilt University. Why? What is a typical Vanderbilt University student like? Describe the type of person that should attend Vanderbilt University. What are the top 3 reasons someone should attend Vanderbilt University? What was a typical Vanderbilt University student like in high school? Describe the type of person that should attend Vanderbilt University. Ninety percent of Vanderbilt undergraduates live in the dorms and all first-year students come together in 10 houses. Competitive both academically and socially, Vandy is a place for those who like to work hard, play hard, and eat great burgers. Vanderbilt recieves 25 percent more early decision applications each academic year than it did the previous academic year. The Southern Charm and Ivy-level academics attract students from all over the country. What are the top 3 things that students do for fun at Vanderbilt University? What was your experience like at Vanderbilt University? I agree, for the most part, with Noodle's description and reviews. 83% of students live on-campus. 90% of students graduated in the top tenth of their class. The average student pays $20,551 for tuition, fees, and other expenses, after grants and scholarships. Total stated tuition is $41,928, in-state and on-campus, before financial aid. Learn more about financial aid at http://www.vanderbilt.edu/financialaid/. Estimate the net price for you at http://npc.collegeboard.org/student/app/vanderbilt. The typical (median) early career salary of Vanderbilt University graduates is $52,100, according to Payscale. Vanderbilt University participates in the NCAA Division I-A for college athletics. Want more info about Vanderbilt University? Get free advice from education experts and Noodle community members. If I score high enough on my ACT, will I get a free ride to college? What are the most popular extracurricular activities at Vanderbilt? What are 5 adjectives that describe a typical student at Vanderbilt? With write of these words on here you did very well buddy from students can improve their progresses effectively. Students also learn writing skills for their essay works from australianwritings.com.au those are written by qualified writers of world. What do you like about Vanderbilt's campus and culture? Vanderbilt's first year experience in residential colleges is unique. The location, an urban yet secluded area of Nashville, fosters so much creativity and excitement! If you were student body president of Vanderbilt, what would you change? Hi Everybody. 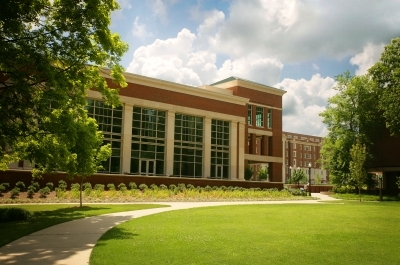 Does Vanderbilt University offer electrical engineering? I'm especially interested in control engineering? Thanks!